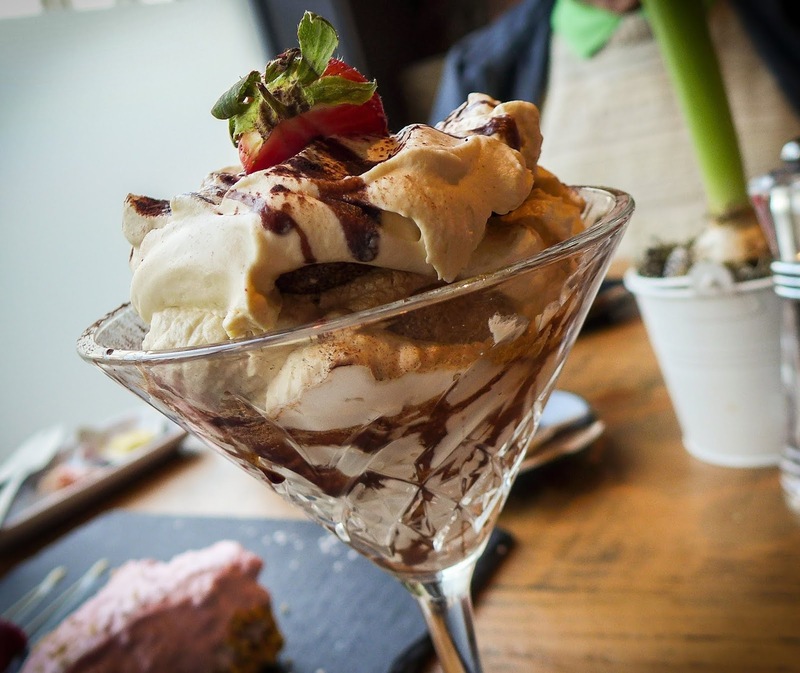 When we were kids, any birthday, holiday or high day tended to mean one thing: a trip to the local Italian restaurant. Always the same one, with the same waiters, same food, same everything. 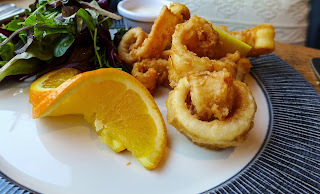 My family didn’t eat out that much so our very being there was in itself an exciting treat. I’m sure you know the sort of place I’m on about: red table cloths, pepper grinders as long as your arm, spoonfuls of pre-grated “parmesan” offered with everything, pizzas with dubious toppings (my uncle always got the Bolognese, a plain cheese pizza with a fair sized hillock of meat ragu plopped on top), tricolour candles poked into chianti bottles. Obviously the food was never that great, but it tasted fabulous to us at the time, because it was different to what we had at home. 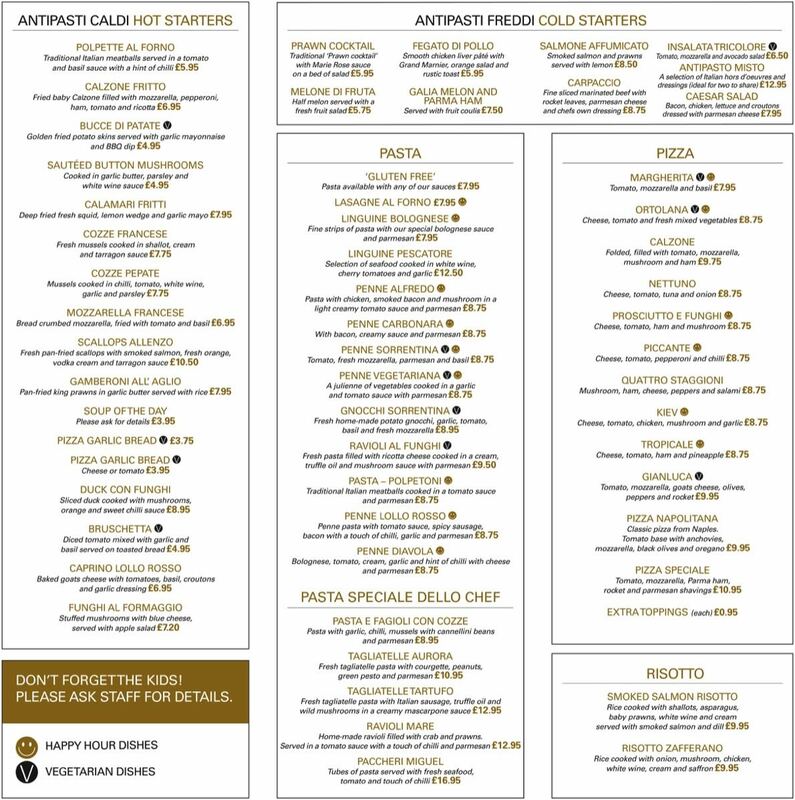 I loved that I could order from a proper grown-up menu, and I can still recall that heady waft of garlic fumes as we walked through the door. Best of all, I loved that we were welcomed like long lost royalty. The staff - all chaps back then of course - seemed ridiculously busy, but always had enough time to make a fuss over us kids and flirt outrageously with Mum before delivering armloads of pizza to the next table. And best of all, I loved the sick nervous thrill of going on my birthday, knowing that at some point the restaurant would be silenced by the ringing of a massive bell, I’d be hoisted up to stand on my chair and the whole place would sing me a hearty happy birthday. 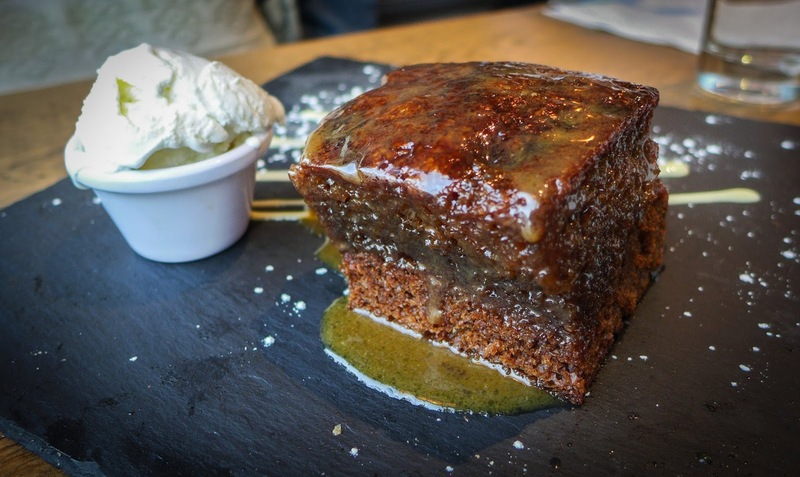 The genius of Italian restaurants like this is that the whole family eats as one. This was how the diners of tomorrow learnt the essential grammar of eating out. 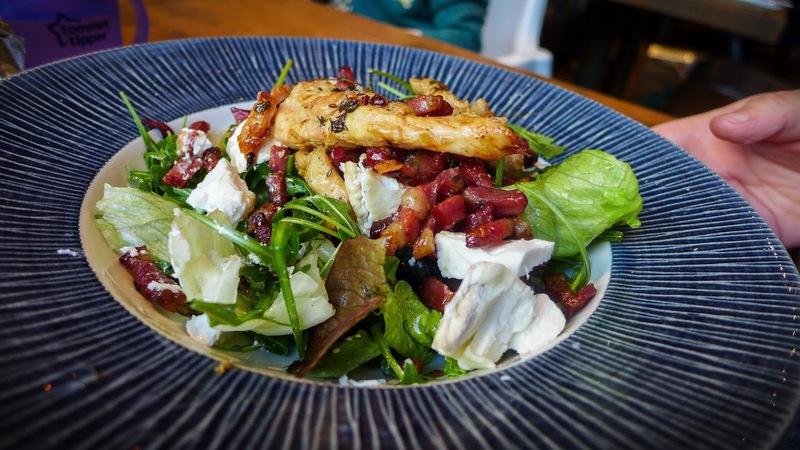 Lollo Rosso in Morpeth is exactly that kind of place too: the ultimate family restaurant. Except that the food’s rather better than I remember our local Italian. 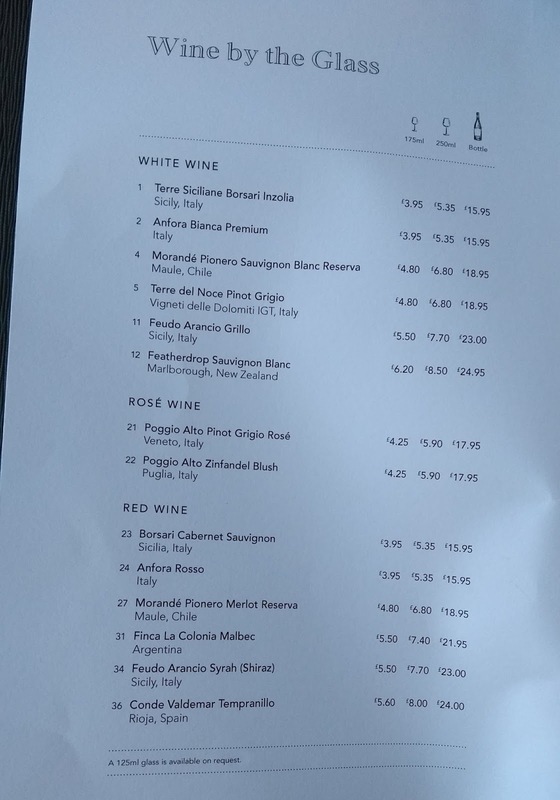 I wrote about the old Lollo Rosso exactly a year ago today (and the even older one a few years before that, when it was called Marabini’s) after I had my pants charmed almost completely off by owner Giovanni Marabini. The same thing happened again this time, with his business partner Miguel Perez making the tricky art of making diners happy look ridiculously easy. Every table got a slice of his time, and nobody left without him seeing them out and wishing them well. This, friends, is how to run a restaurant. 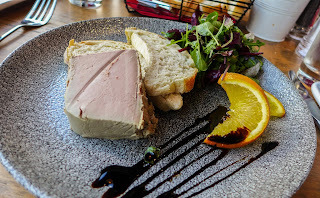 I visited them again because the restaurant has moved to new much larger premises – they’ve come a long way from the little gaff up the rickety stairs in New Market or their former restaurant in Bridge Street, which was equally cosy. 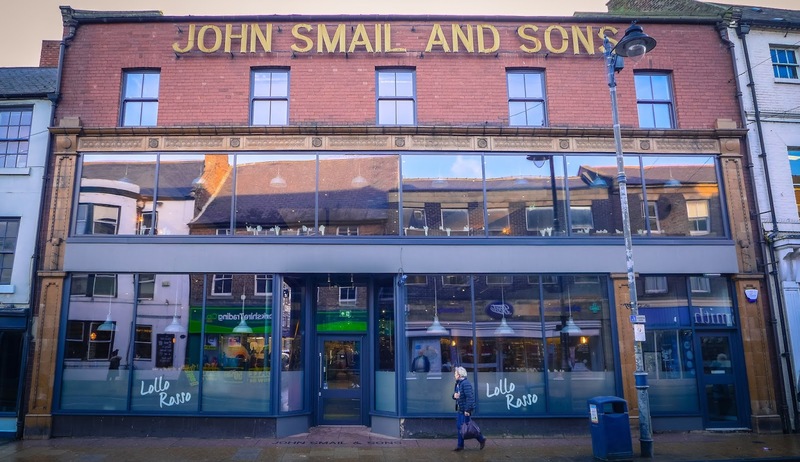 Now, it's a whole bigger scale of operation: they’ve turned the big old hardware store John Smail & Sons into an Italian food palace. The food - because I do have to talk about it at some point - was unchallenging but still very enjoyable. 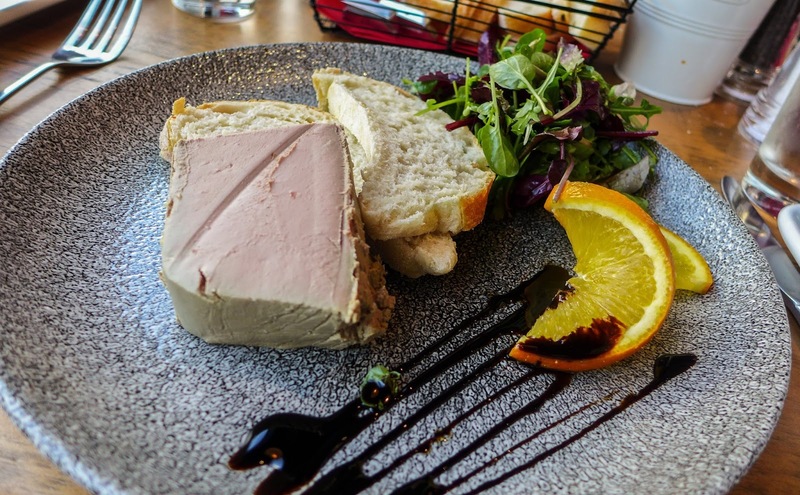 Best of the starters was a thunderous great hunk of smooth, rich chicken liver pâté from the bargainous set lunch menu, three courses for £9.95. My starter, a special of scallops and king prawns featured unseared but nicely tender bivalves and whopping shrimp, also nicely cooked. 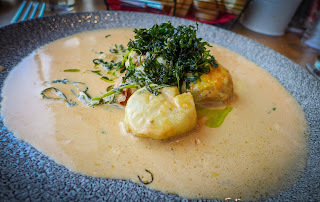 The lobster bisque sauce had a bit of the Thousand Island about it, but I still mopped most of it up with the complementary bread. 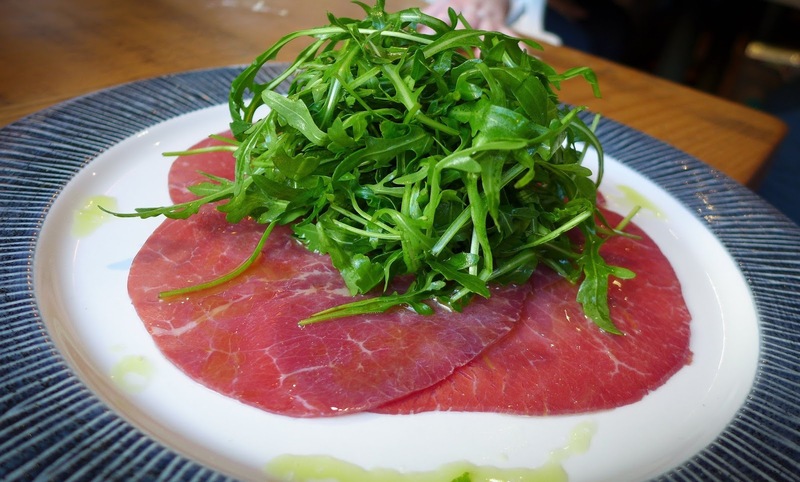 ...while a beef carpaccio looked suspiciously uniform and had an almost cured flavour, but was still enjoyable enough with its crown of fresh, properly washed and dressed, rocket. 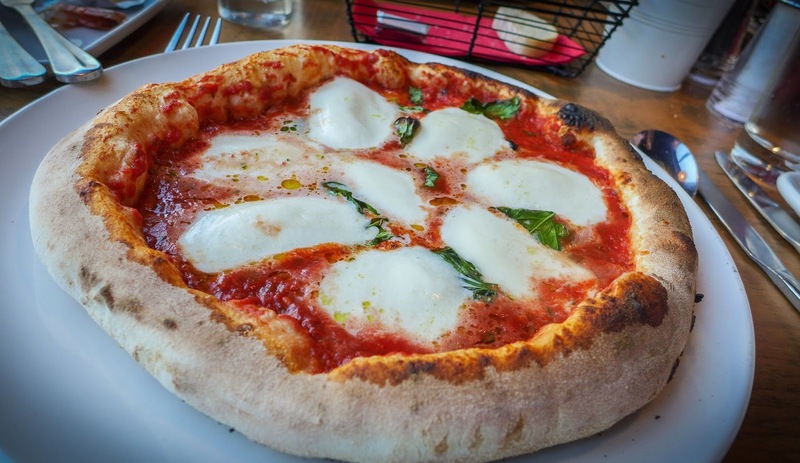 Last time out my pizza was a bit of a dud, but Giovanni had assured me plans were afoot to install a Stefano Ferrara oven - the great name in traditional Neapolitan pizza. For whatever reason, that hasn’t happened. Their oven looks impressive, but is fired by gas, not wood. It was kicking out around 300°c when I checked, which is fairly warm, but not nearly hot enough to make truly great pizza. Perhaps as a result my margherita was nice rather than superlative, the dough lacked a little structure and flavour, and the buffalo mozzarella (which I requested in place of the standard grated stuff) hadn't been blasted by enough heat to properly co-mingle with what was a really sweet and clean tasting tomato sauce. 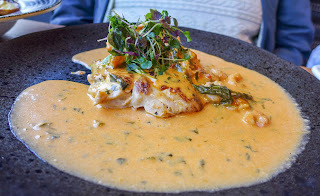 ...and a nicely seared piece of chicken was paired with more well cooked prawns and napped with that lobster bisque. Mrs Diner’s carbonara appeared to be made with cream, not eggs - heresy, by Jupiter! 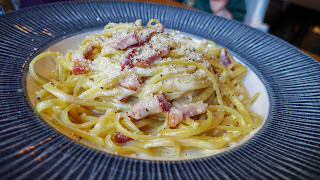 - but was still pretty acceptable, with excellent linguine and good salty pancetta. 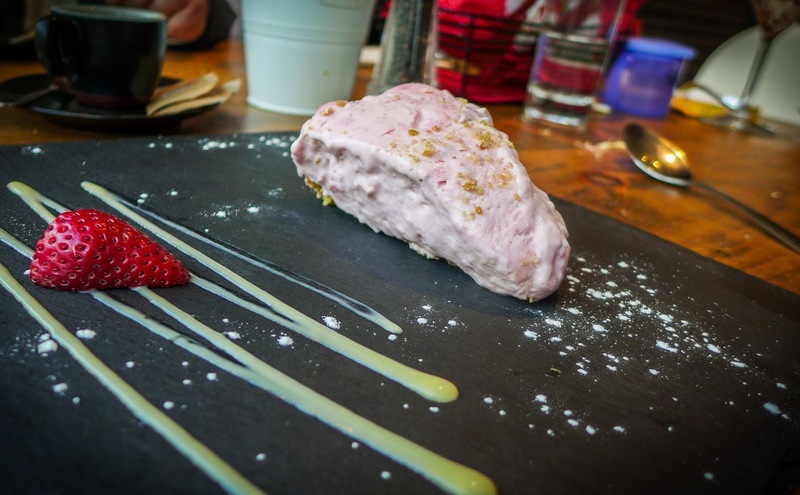 ...and a strawberry cheesecake that tasted a bit like Angel Delight on a biscuit base, in a good way. An excellent job has been done of keeping a number of the features of the old building while giving it a light, modern feel. 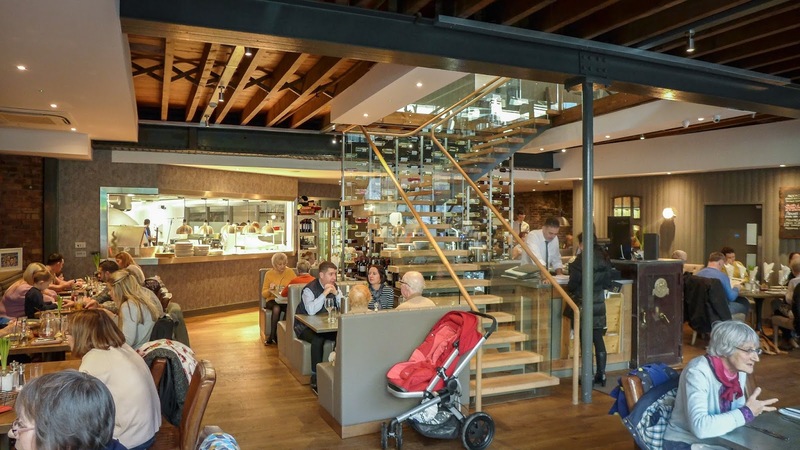 There’s lots of blonde wood and glass, the kitchen is open and tables are comfortably spaced. 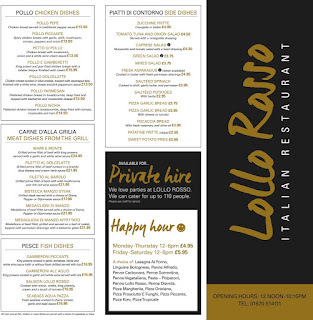 The Balearic-lite muzak was very much not to my taste, but was probably in keeping with what they’ve tried to achieve in this new incarnation of Lollo Rosso: to keep the friendly, warm and hospitable service that was the calling card of the original, in a new and shiny, much larger premises. By and large, the transition appears to have been a success. 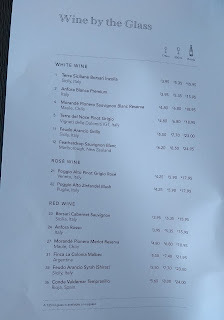 There are also 14 wines by the glass (hurrah!). And, yes, the whole place still stops for Happy Birthdays. On the weekday afternoon of our visit, the ground floor was nearly full of people of all ages. Our own table featured a very junior diner, as we were out for lunch with friends who recently became avec bairn. Needless to say she was fawned over by the staff who, other than one minor mix up and a bit of sluggish service at times, were generally first class. A shout out too for what were adjudged to be some of the most comfortable baby change facilities seen in any restaurant of late, something I don’t get to comment on that often. 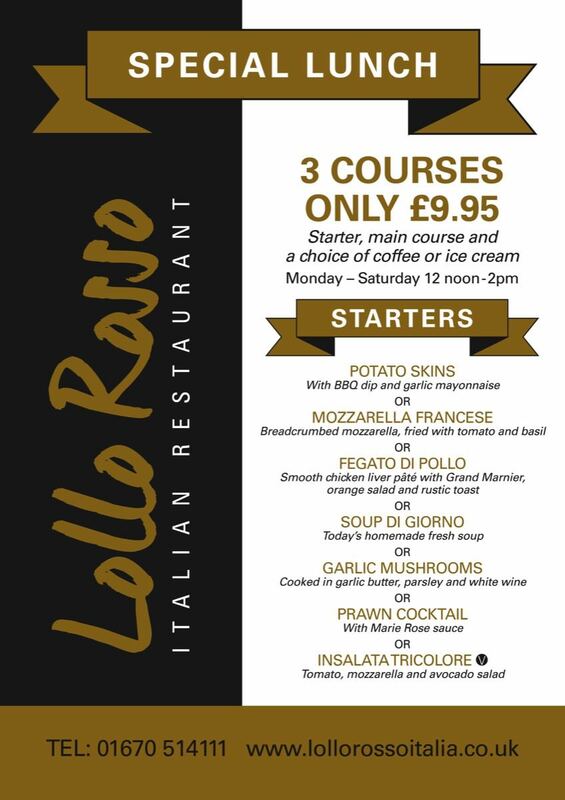 Apparently Lollo Rosso is already booked out for weekends for the next month or so. This review is unlikely to help in that regard, so maybe book a table at lunchtime and take advantage of that bargain cheaper menu. 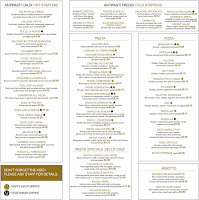 Our meal for four clocked in at just over £80, including some of the pricier options. You can eat and drink here for a good deal less than that. 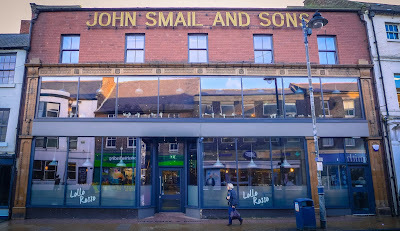 John Smail and Sons was a much loved Morpeth institution. 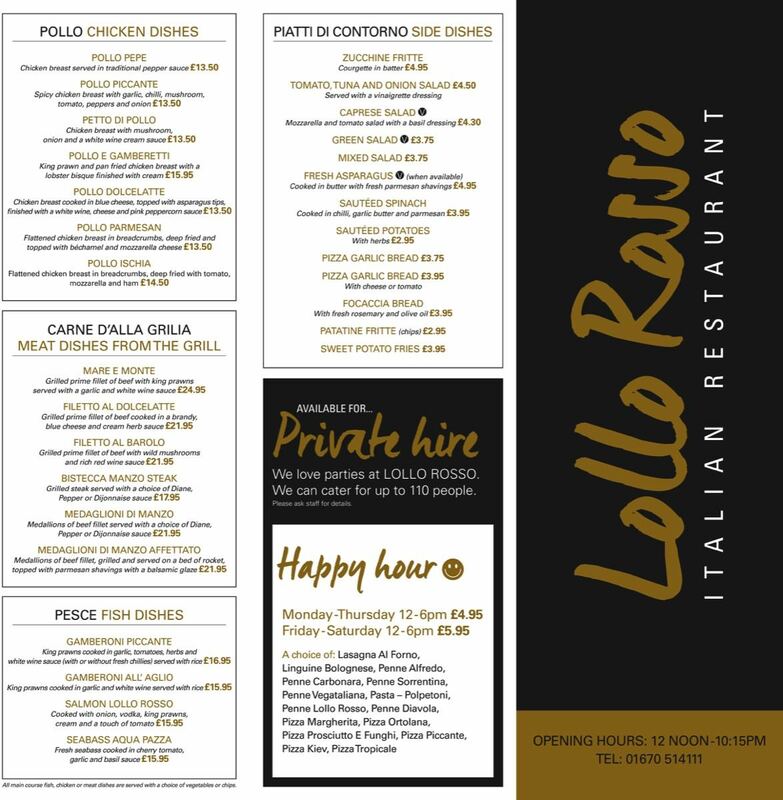 It’s early days, but if the welcome continues to be as warm as the one we received, Lollo Rosso may well earn the crucial repeat custom that helps it become another.